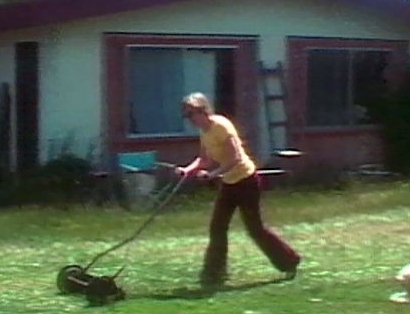 The “home movie,” while ripe with nostalgic allusion, can also be taken at its word(s). In a literal sense, this kind of film, generally 8mm, is situated as both at home and as a picture on the move. The complexity of this relationship puns the complexity of this exhibition. Three home movies from 1974 by Martha Rosler and an 8mm film installation from 2019 by Eric Wesley link the roles of producer and consumer by occupying the liminal space between home and differentiated economic systems. Flower Fields, Backyard Economy I and Backyard Economy II (Diane Germain Mowing), made while Rosler was living in San Diego, picture a troubled sunny suburbia of labor and leisure. In Backyard Economy I and II, we see a woman silently engaged in the responsibilities of the home, a picturesque economy imposed upon her by social systems of decorum. Disciplines of decor are made even more explicit in Flower Fields, as the trope of the road movie is detoured into an interrogation of modernist painting, invisible labor, and the policing of the other, ending (as it should) with a beautiful sunset. 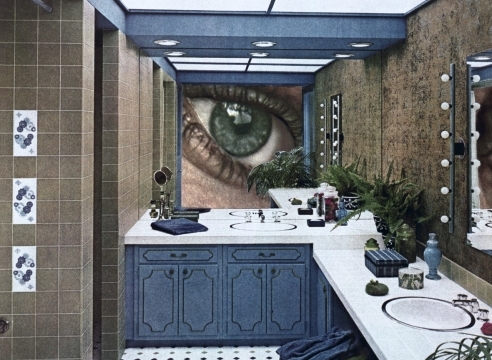 Martha Rosler / Eric Wesley is the third in a year-long series of two-person exhibitions to be curated at / by Los Angeles based artist and film-maker Drew Heitzler. A limited edition zine-style catalog with a new essay by Michael Ned Holte will be published for the occasion.